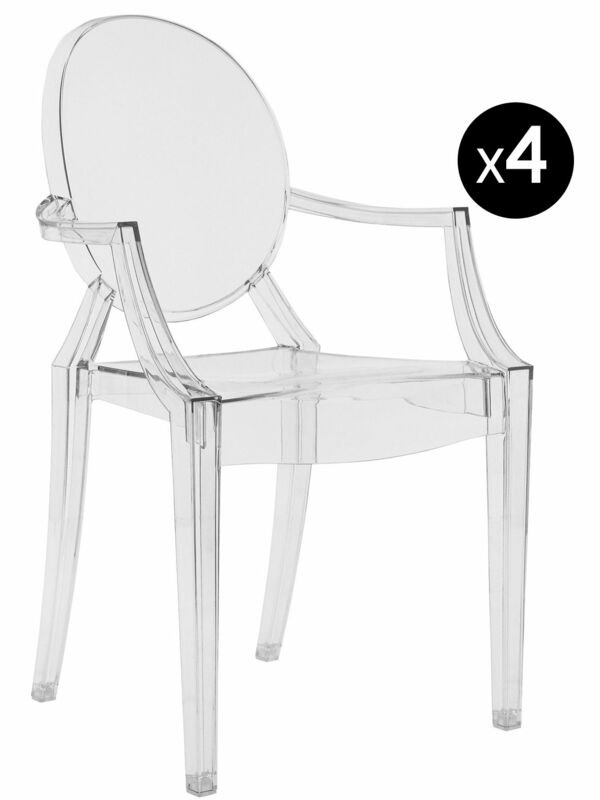 Set of 4 Louis Ghost transparent armchairs. 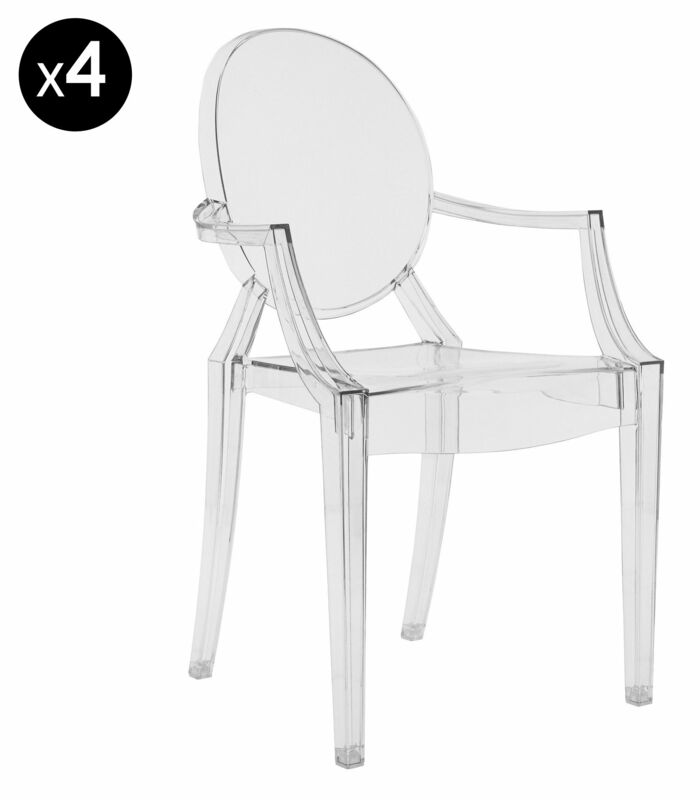 Louis Ghost armchair is a fruit of the creative genius Philippe Starck. His strong and charismatic personality is expressed through a combination of Louis XVI style and highly modern materials. Price stated above is for 4 Louis Ghost transparent armchairs.